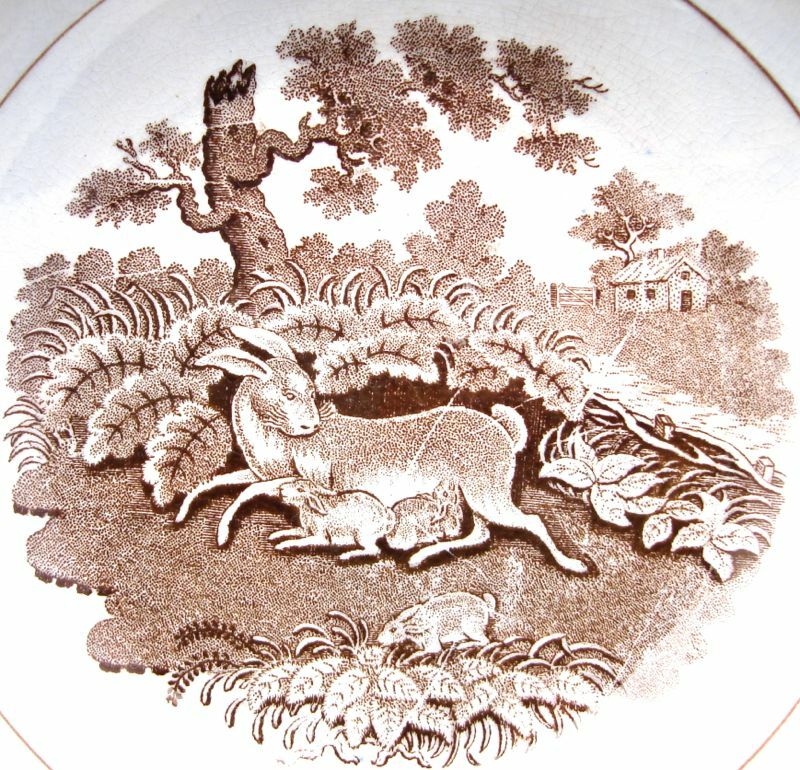 Hare and Leverets 5.5 inch saucer by an unknown maker. 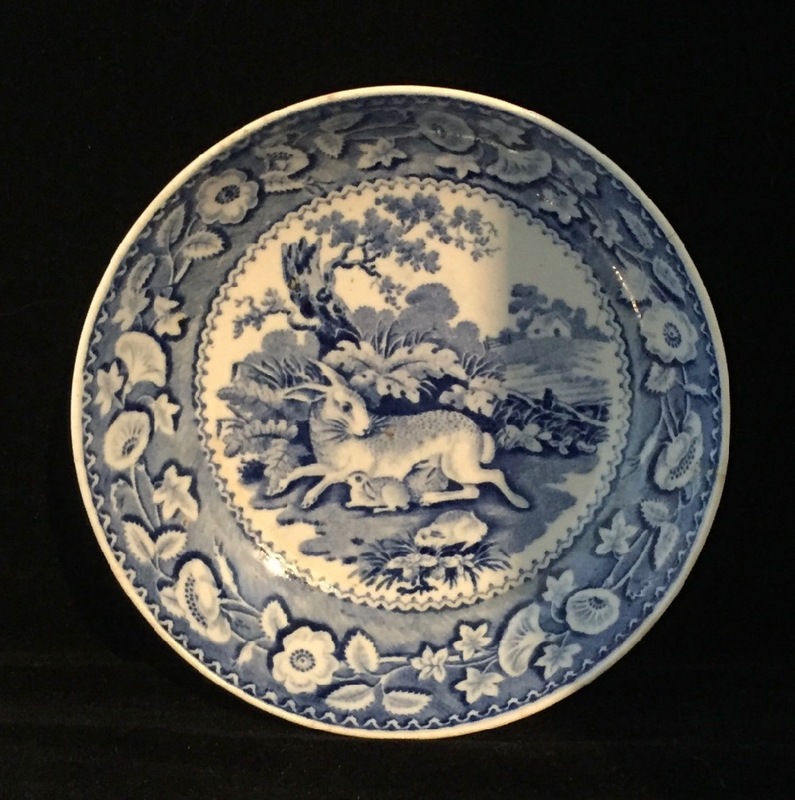 The above pattern is known as Hare and Leverets. I assumed the large animal was a rabbit, and wondered what on earth was a leveret! I discovered that a leveret is the word for a baby hare, and that a hare, which is a lagomorph like a rabbit, is different from its more common cousin. Hares are born in an above ground nest fully furred and with their eyes open. A rabbit is born in a burrow in the ground with no fur and with its eyes closed Hares are larger than rabbits and have shorter ears and longer legs. The American hare is often referred to as a jackrabbit. 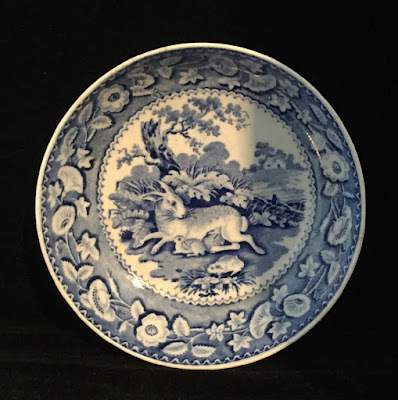 This British transferware pattern dates from the 1820s. The pattern is most commonly seen printed in blue. 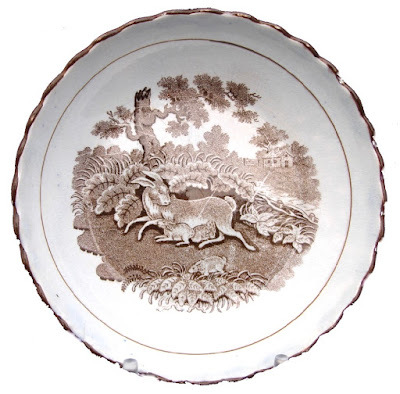 The saucer below is impressed "Ridgway." It could either be for John & William Ridgway (1813-1830) or John Ridgway (1830-1841). My guess is John & William Ridgway. Probably John & William Ridgway (1813-1830)) Hare and Leverets 5 inch saucer, ca, 1820. Do you know of other transferware patterns featuring hares or leverets?